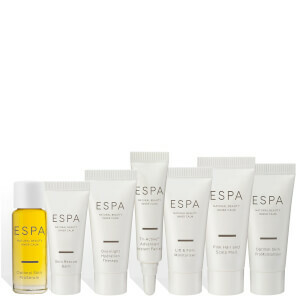 Enjoy a complimentary sample Duo when you spend £55 or more on ESPA. 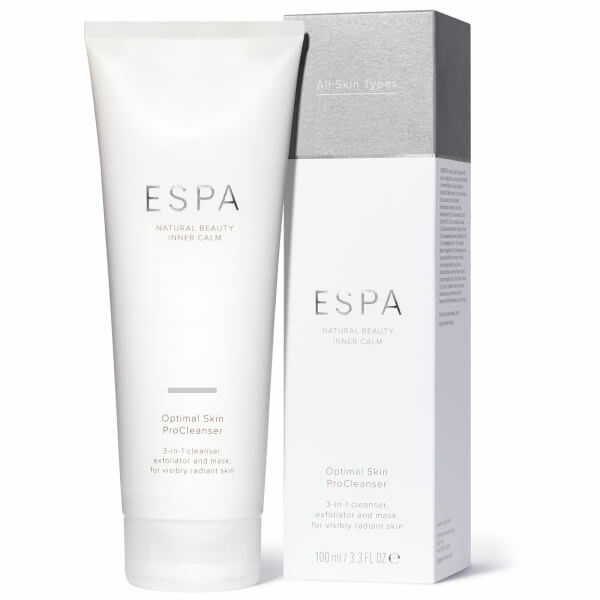 A 3-in-1 gel cleanser, exfoliator and mask to nourish, smooth and visibly brighten the complexion. 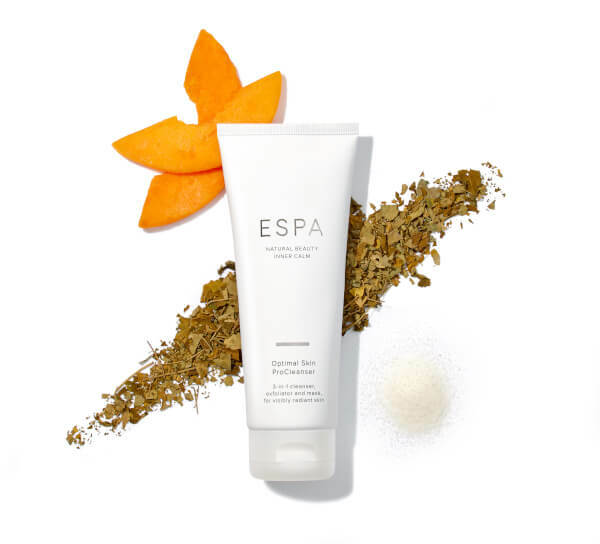 Moringa Seed Extract cleanses and removes make-up, while Jojoba Spheres gently exfoliate and melt away to leave skin clear and smooth. 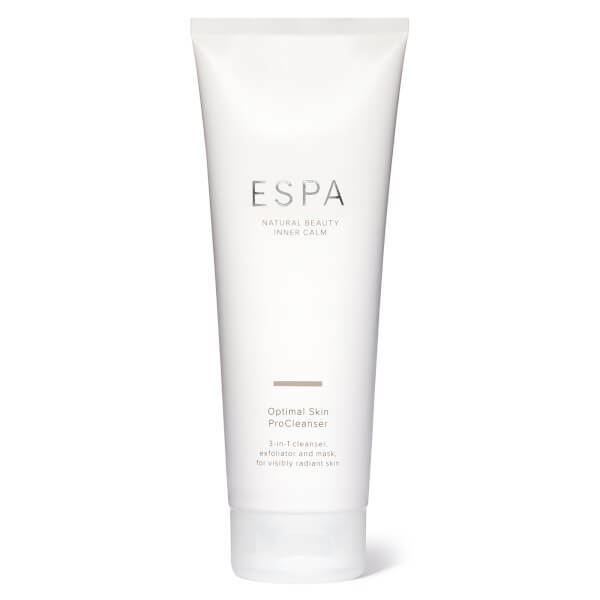 Pumpkin Enzymes remove dull cells, revealing a radiant glow. Smooth a small amount over your face, neck and décolleté working in small, circular movements. Rinse away with warm water, muslin cloth or damp cotton wool. 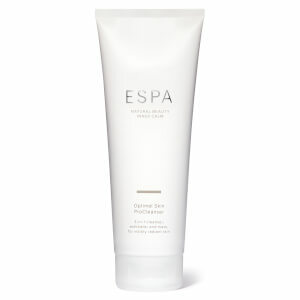 Repeat as desired to remove all traces of stubborn make-up and leave skin beautifully clear. Suitable for all skin types and ages. Caprylic/Capric Triglyceride, Glycerin, Jojoba Esters, Lactobacillus/Pumpkin Fruit Ferment Filtrate, Persea Gratissima (Avocado) Oil, Water (Aqua), Coconut Alkanes, Sucrose Laurate, Sucrose Stearate, Phenoxyethanol, Limonene, Vaccinium Vitis-Idaea Seed Oil, Citrus Aurantium Dulcis (Orange) Peel Oil, Coco-Caprylate/Caprate, Citrus Aurantium Amara (Bitter Orange) Flower Oil, Citrus Aurantium Bergamia (Bergamot) Fruit Oil, Cedrus Atlantica Bark Oil, Citrus Nobilis (Mandarin Orange) Peel Oil, Ethylhexylglycerin, Leuconostoc/Radish Root Ferment Filtrate, Linalool, Moringa Oleifera Seed Extract, Jasminum Officinale (Jasmine) Flower Extract, Disodium Phosphate, Rosa Damascena Flower Oil, Citric Acid, Citronellol, Benzyl Benzoate, Helianthus Annuus (Sunflower) Seed Oil, Rosmarinus Officinalis (Rosemary) Leaf Extract.